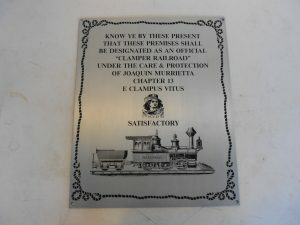 MILL OF JOSE VALLEJO, A SHORT DISTANCE EAST OF THIS LOCATION. 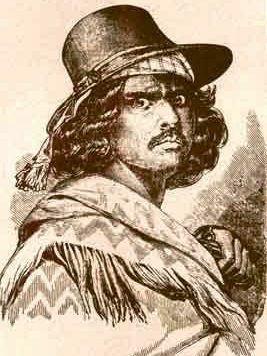 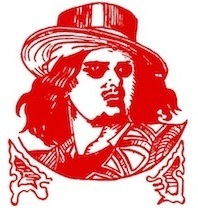 IN 1840. 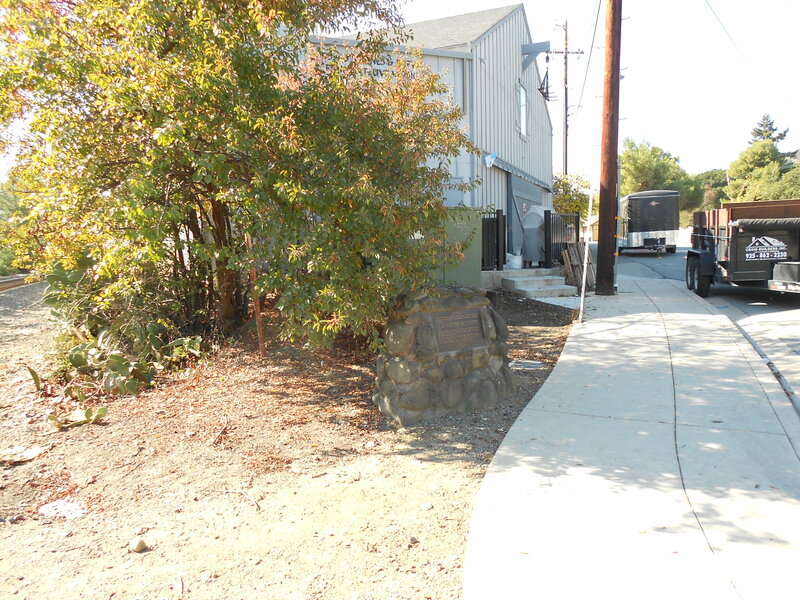 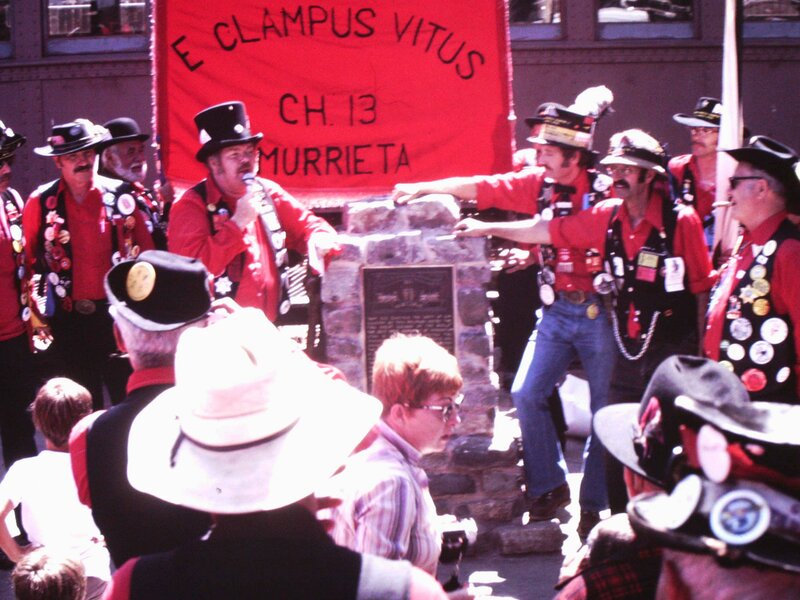 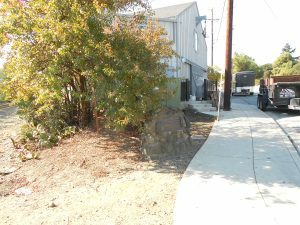 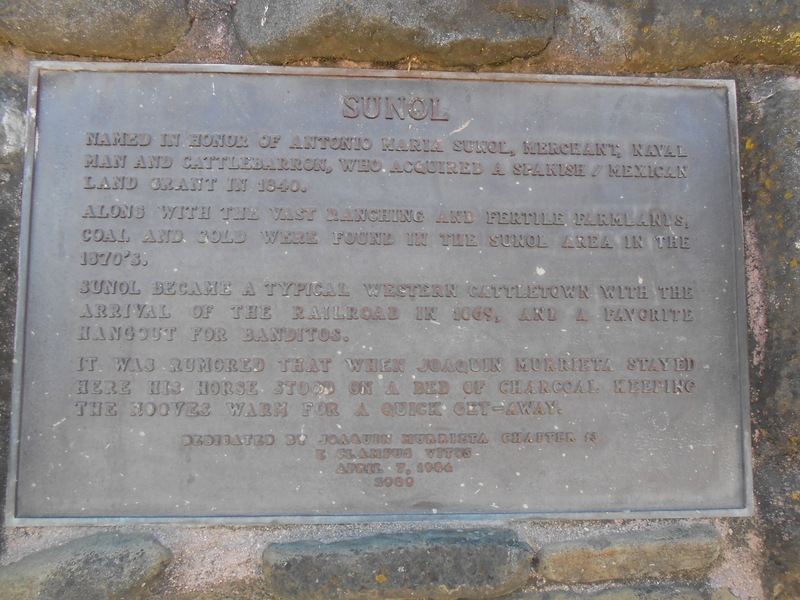 ALONG WITH THE VAST RANCHING AND FERTILE FARMLANDS, COAL AND GOLD WERE FOUND IN THE SUNOL AREA IN THE 1870S. 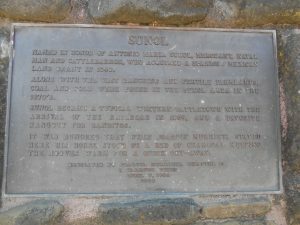 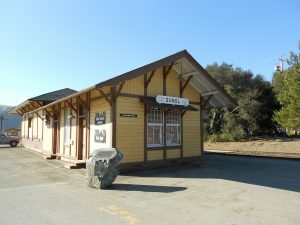 SUNOL BECAME A TYPICAL WESTERN CATTLETOWN WITH THE ARRIVAL OF THE RAILROAD IN 1869, AND A FAVORITE HANGOUT FOR BANDITOS. 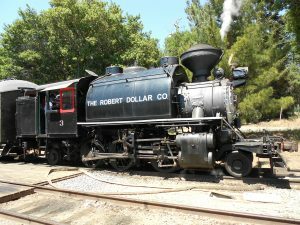 HORSE STOOD ON A BED OF CHARCOAL KEEPING THE HOOVES WARM FOR A QUICK GET-AWAY. PACIFIC RAILROAD ABANDONED THIS HISTORIC LINE BETWEEN NILES AND TRACY, CALIFORNIA. 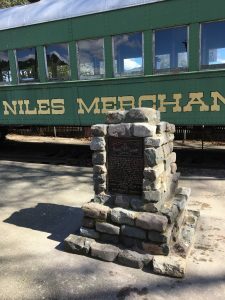 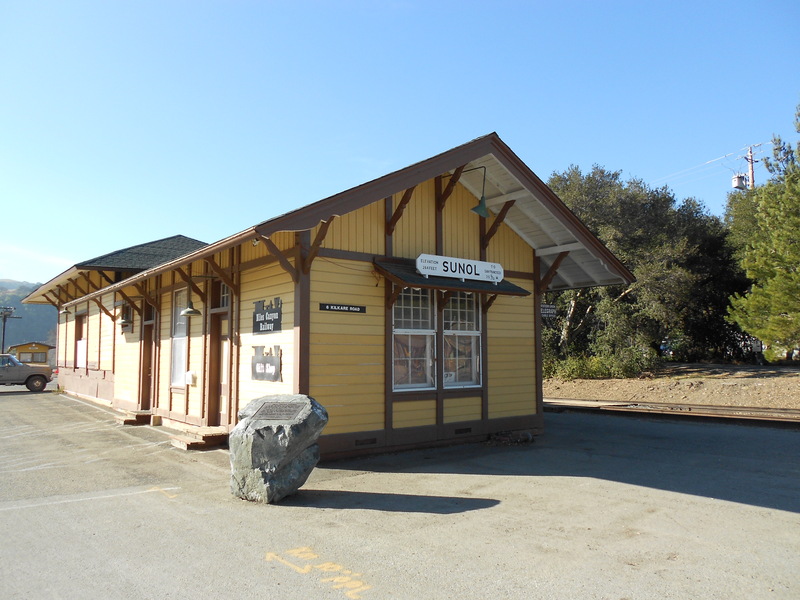 VOLUNTEERS OF THE PACIFIC RAILROAD ASSOCIATION HAVE REBULIT THE PORTION OF THE LINE BETWEEN SUNOL AND NILES, SO THAT FUTURE GENERATIONS MAY ENJOY A RIDE OVER THIS IMPORTANT LINK IN AMERICA’S RAILROAD HERITAGE. 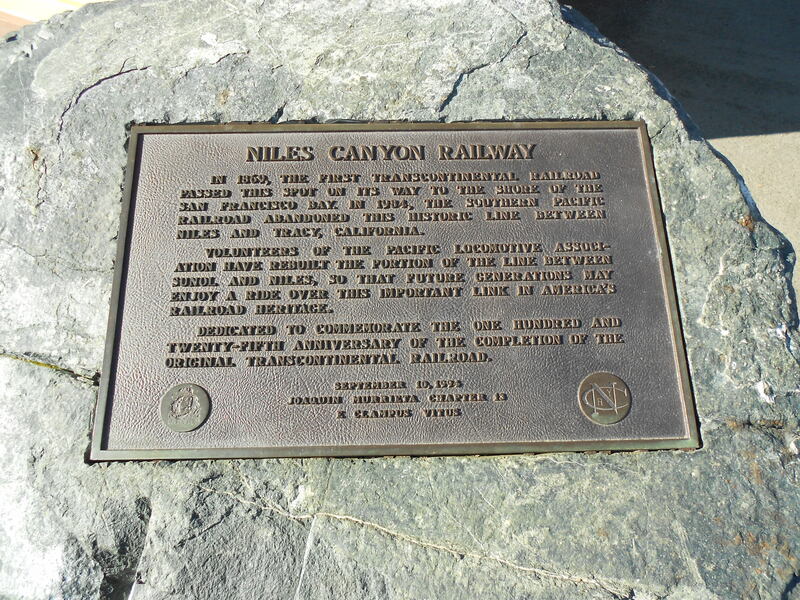 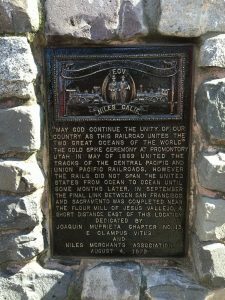 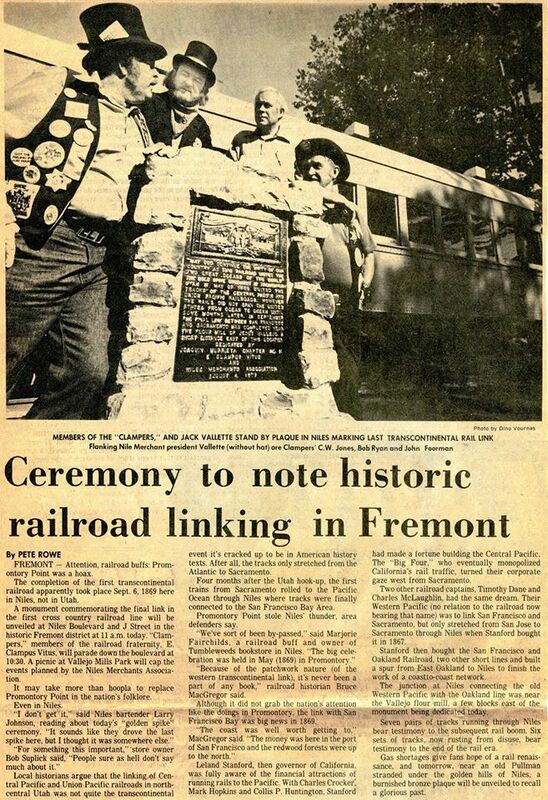 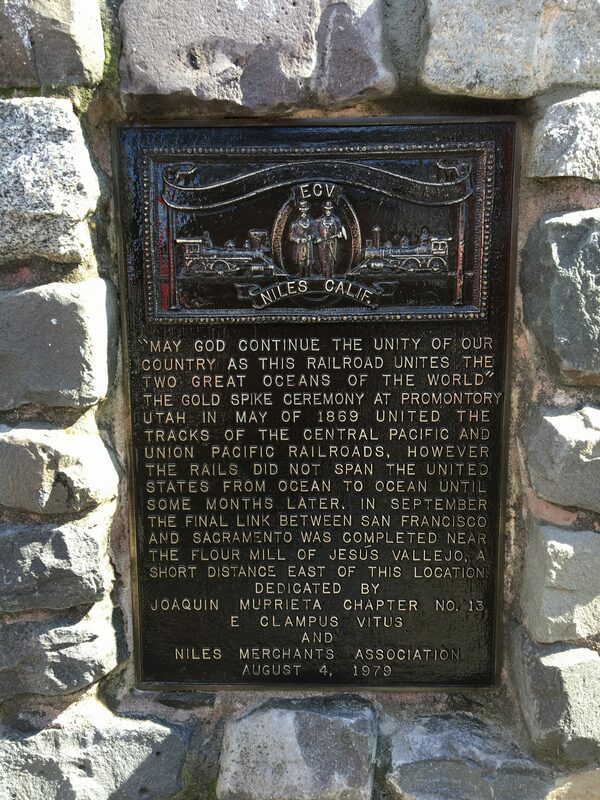 DEDICATED TO COMMEMORATE THE ONE HUNDRED AND TWENTY-FIFTH ANNIVERSARY OF THE ORIGINAL TRANSCONTINENTAL RAILROAD.